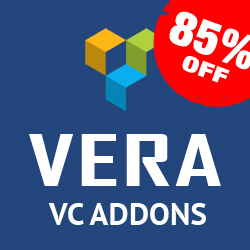 Home > Best Bundle Deal > Are You A WordPress Bounty Hunter? 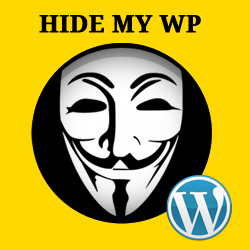 05 Oct Are You A WordPress Bounty Hunter? 25 – AND COUNTING – MOST WANTED WORDPRESS PLUGINS! 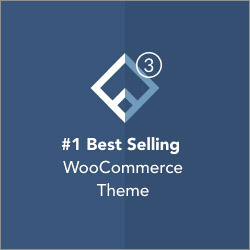 This is for the moment the number of items that are part of the MOST WANTED WORDPRESS PLUGINS PACK. 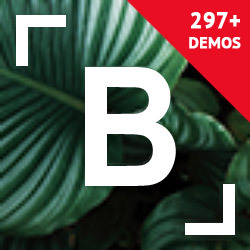 Premium Sliders, Video Players, Logos Showcase, Full Screen Image Or Video Backgrounds, Audio Players, Radio Players, Image Video Galleries, Carousels, Countdowns. Stay tuned for more and more! responsive design. Available parameter to disable responsive behavior. parameter to disable Zoom In/Out Effect. you can insert multiple instances in the same page with the same skin or using a different skin..
number of visible items. Ex: 3, 5, 7 etc. 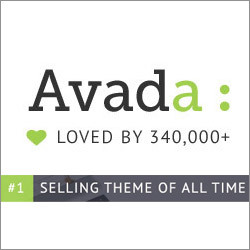 From these banners you can create, in just a minute, sidebar banners or mini-galleries. 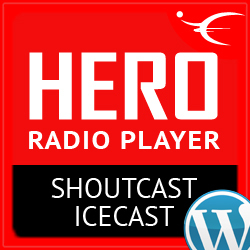 HERO is the ultimate Shoutcast Icecast Radio Player WordPress Plugin with history support. 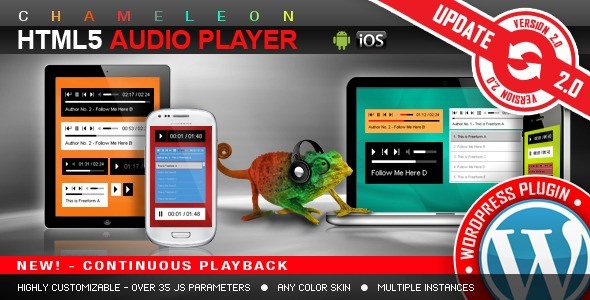 You have at your disposal over 30 js options from where to customize the radio player, including: width, autoplay, colors and other parameters. 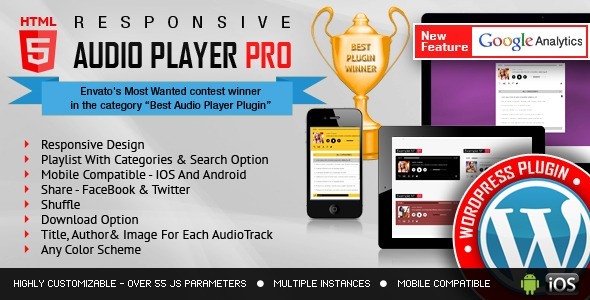 A top-notch responsive HTML5 Audio Player compatible with all major browsers and mobile devices. Any color scheme possible, customizable from parameters. It supports .mp3 and .ogg audio files. Personally I prefer a video tutorial instead of a thick documentation in which to look for basic things. Define a link to the buy song page. Parameters to open the link in the same window or a new window and parameter to change the button title. 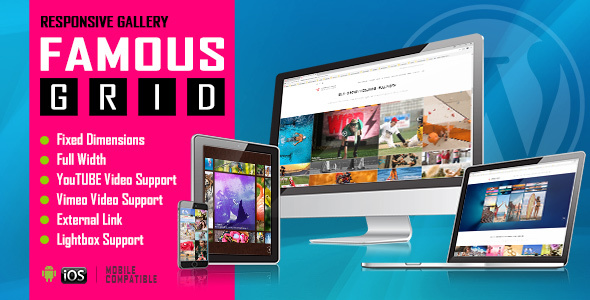 This WordPress plugin can be used as Full Screen Multimedia Background, Full Screen Multimedia Gallery and Full Width Multimedia Slider with both Images and Videos. 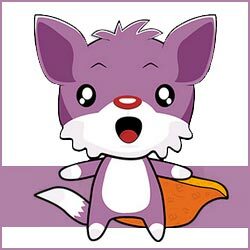 The autoplay will not work on mobile devices (smartphones or tablets) for the video background, because IOS/Android has disabled autoplay feature and it can’t be controlled from JS. If you start it on a smartphone, it will come in front of your website in fullscreen mode. On tablets, it will behave as a video background like it does on desktop. 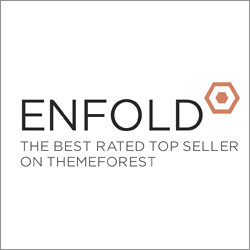 Logo Showcase WordPress plugin contains 4 versions: Grid, Carousel (one by one), Carousel (Group) and Perspective. The last 3 versions have 2 skins: black & white. 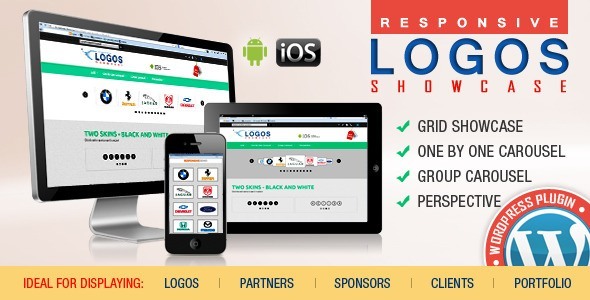 It allows you to easily display on your website: logos, clients, partners, sponsors, brands, portfolio items… you name it. tooltip – available parameter to activate/deactivate the tooltip. border – you can set the border size and border color for active and inactive image. grayscale – available parameter to activate/deactivate the grayscale. multiple parameters from where you can customize the plugin. you can insert multiple instances in the same page. 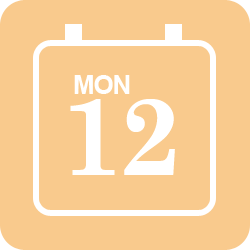 auto-play – you can define the time (in seconds) until the auto scroll will take place. If you set it 0 the plugin will not auto play. NOTE: grayscale will not work on IE10 & IE11 due to IE restriction. It will work on IE9. 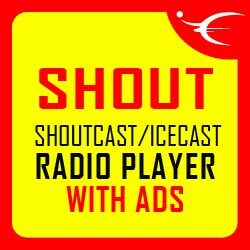 The Radio Player WordPress plugin supports Shoutcast and Icecast radio streaming and has over 70 parameters for customizing. It is equipped with playlist, categories and search and uses Last.FM API to display the photo of the current playing singer. The radio player can be used in websites which are responsive. Optional parameter to disable responsive behavior in order to integrate it in non-responsive websites. You can choose from the 2 available skins: back & white. Also, from parameters you can create any color scheme, having the possibility to integrate your Radio Player WordPress in any design. The playlist items are structured in categories. A radio file can belong to multiple categories. The categories are automatically generated from the radio stream data. Button to show or hide the playlist. Also option to start the player with the playlist hidden. You can insert multiple radio players on your website or on the same page. Over 70 js options from where you can customize your player, including: width, autoplay, initial volume, playlist, categories & color parameters. 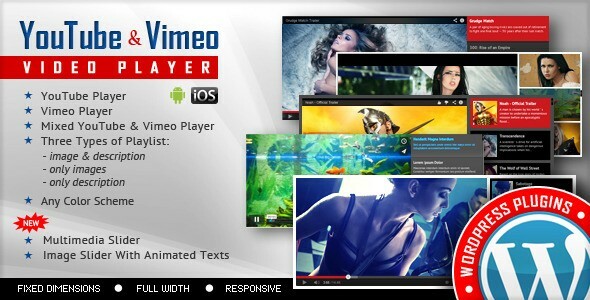 This HTML5 Video Player is ideal if you want a video player which will support YouTube, Vimeo and Self-Hosted videos. Due to the fact that it has the option to be also used as a Full-Screen Video Background for your pages, it will allow you to create awesome websites. – for the moment only IOS allows autoplay and only if the video is muted. When you set autoPlayOnMobile:true, the video will mute automatically for mobile devices. 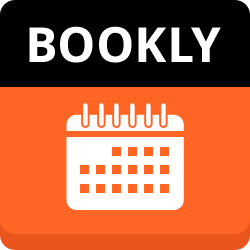 – auto-play option is only available for self-hosted videos. YouTube & Vimeo doesn’t have this option for mobile devices, yet. 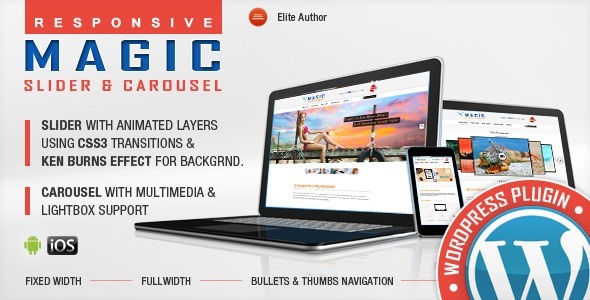 WordPress Carousel – Multimedia WP Plugin comes in 2 versions: Classic and Perspective. We create a multimedia product which can be used as an image gallery and also be customized as video gallery or audio gallery. Please see the features and check the live preview to convince yourself of its quality. 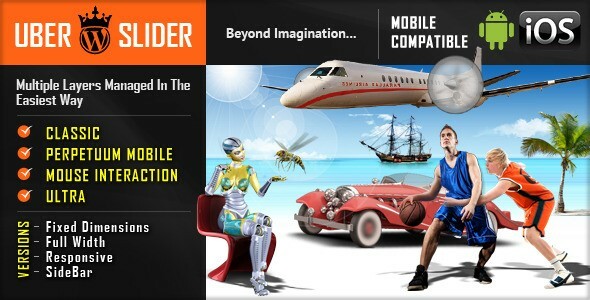 UberSlider – Layer Slider WordPress Plugin contains 4 versions: Classic, Perpetuum Mobile, Mouse Interaction and Ultra. Each of these 4 versions has 2 skins (bullets & thumbs) and can be used as Fixed Dimensions or as Full Width. It allows you to easily create powerful sliders with animated layers (text layer or images layer), making the slider very easy to setup and maintain. layered elements: permits almost unlimited number of layers, images or texts. perpetuum move: define multiple backgrounds elements that can have a perpetuum move. For each background you can enable or disable this behavior. mouse interaction: by moving the mouse over the slider, the elements will react. Available parameter to disable this behavior. asynchronous move for backgrounds: Define multiple backgrounds elements that can have an asynchronous move, customizable through parameters. Optional parameter to set the countdown to auto-reset every 24h. ‘Circular’ and ‘Electronic’ versions available. All customizable from parameters. *NOTE: the circles are built using HTML5 canvas, so the circles will not appear in IE7 and IE8 since these 2 browsers don’t have HTML5 support. It plays .MP4 and .WEBM video files. Multiple Skins Included: You can choose from 5 skins for each player. Multiple Parameters Available: width, height, playlist width, border width & color, autoplay, loop and many more. 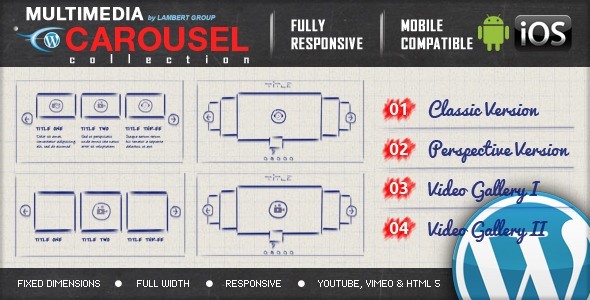 Responsive Design: The video player if fully responsive. Parameter to enable or disable responsive behavior. Multiple Instances: You can insert the player multiple times in the same page with the same skin or using a different skin. Description For Video – Optional: It Can Be Disabled: You can set a Title and Description for the video. Supports HTML & CSS formated text. Fullscreen: It supports full screen, having all the controllers usable in full screen mode, including playlist. Autohide For Controllers: The controllers will auto hide on mouse out, showing the entire movie. Parameter to to enable or disable this behavior. Fullscreen: It supports full screen, having all the controllers usable in full screen mode. You can enter on fullscreen mode by clicking the button or by double clicking on the video. Multiple Parameters Available: width, height, autoplay, loop and many more. Preview Image: A preview image can be defined. Volume Control: You have a complete sound control. You can also set the initial volume. Multiple Skins Included: You can choose from 6 skins. 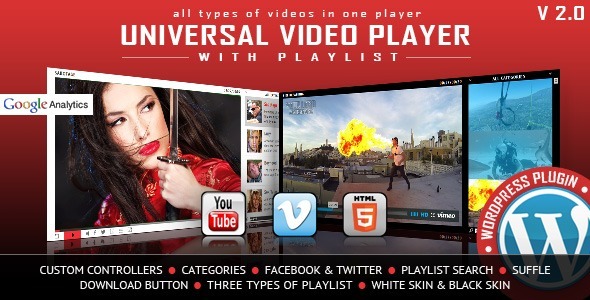 Revolution Video Player is a Bottom Playlist Video Player which supports YouTube, Vimeo and Self-Hosted videos and is a top-notch responsive HTML5 plugin compatible with all major browsers and mobile devices. 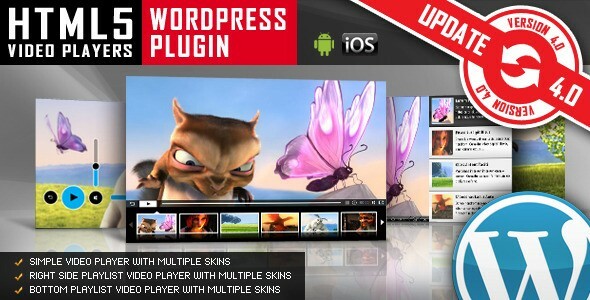 IF YOU NEED ONLY THE JQUERY PLUGIN FOR BOTTOM PLAYLIST VIDEO PLAYER, CLICK HERE TO DOWNLOAD. 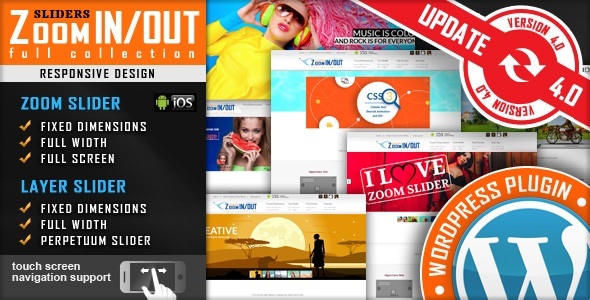 Bottom Playlist Video Player WP Plugin can be used in websites which are responsive. Optional parameter to disable responsive behavior in order to integrate it in non-responsive websites. Option to activate Google Analytics tracking. You’ll be able to see how many times each video was played. Any color scheme possible, customizable from parameters, so you can integrate this audio player in any design. You can show the playlist thumb, title & description or hide one of them. Also parameters for playlist size and color. Autoplay, loop (entire playlist), colors, dimensions etc. Over 90 parameters from where you can customize the player. Magic Slider and Carousel will help you to create the next generation of a responsive WordPress slider, using the CSS3 transitions for layers and an ultra-smooth KenBurns effect. You’ll also be able to create interactive ‘magic’ carousels with YouTube, Vimeo and HTML5 video support; HTML5 audio support; Image support; Links support. Enjoy it now! 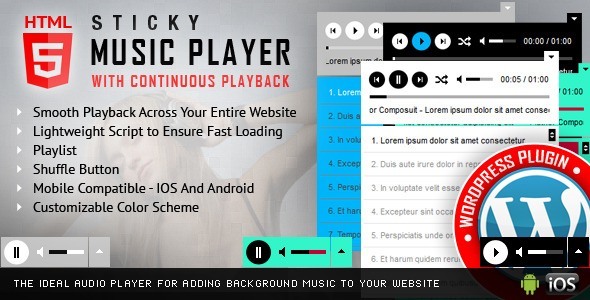 Sticky HTML5 Audio Player WordPress Plugin is ideal to add background music to your website because it will ensure a continuous and smooth playback across your entire website. You can customize the player by changing the color for: player background, volume slider, timer, buffer, seekbar, song title, playlist background, playlist font and playlist item line separator. Over 30 js options from where you can customize your Sticky HTML5 Audio Player WordPress Plugin, including: autoplay, loop, initial volume, shuffle & color parameters. 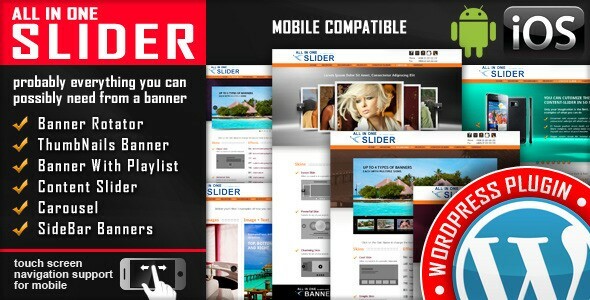 YouTube Vimeo Video Player & Slider WP Plugin can be used as an YouTube & Vimeo video player or as a multimedia slider. You may purchase it with a discount of 50%. 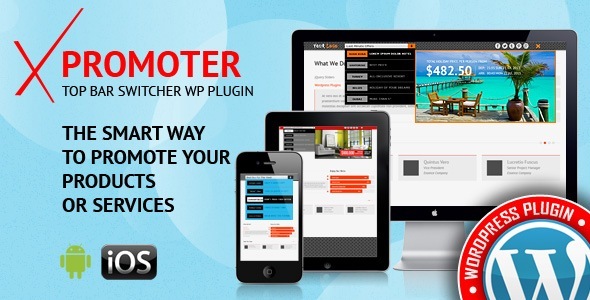 The Top Bar Offers Promoter is the best way to emphasize the offers on your website. 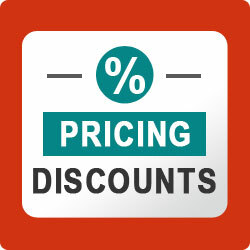 All the special offers will be instantly seen by your potential buyers. Over 50 parameters from where you can customize the plugin. The top bar promoter is responsive for both fixed dimensions or full width versions. Parameter to disable responsive behavior. Our top bar promoter will not affect your website SEO by modifying your website links or by inserting iframes. You can set the top bar promoter to be centered on your website or to stretch the full width of the browser. Optional links for each product/offer with parameter for _self or _blank. In this manner you can set a different link for each image. You can hide the top bar any time you want. Cookie option also available to permanently close the top bar for a given time of minutes. 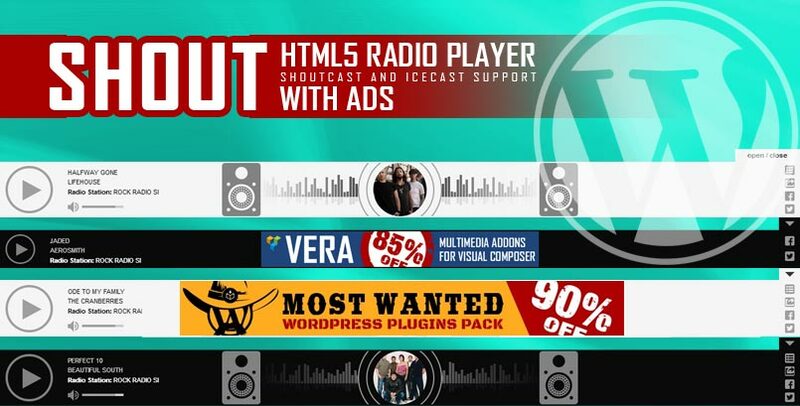 Sticky Radio Player WordPress Plugin supports Shoutcast and Icecast radio streaming. The player uses Last.FM API to display the photo of the current playing singer. In addition you have over 70 parameters from where you can customize your player. Therefore it includes: autoplay, initial volume, playlist, categories and color parameters. 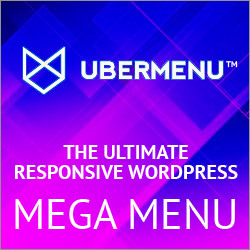 Universal Video Player supports YouTube, Vimeo and Self-Hosted videos and is a top-notch responsive HTML5 Video Player WordPress plugin compatible with all major browsers and mobile devices. Customizable Color Scheme: Any color scheme possible, customizable from parameters, so you can integrate this audio player in any design. Playlist With 3 Versions: You can show the playlist thumb, title & description or hide one of them. Also parameters for playlist size and color. Mobile Compatible: It is compatible with IOS and Android operating systems. Google Analytics: Option to activate Google Analytics tracking. You’ll be able to see how many times each video was played. Responsive Design: The plugin can be used in websites which are responsive. Optional parameter to disable responsive behavior in order to integrate it in non-responsive websites. Lightweight: The JS file has around 55KB. Categories: The playlist items can be structured in categories. A video can belong to multiple categories. Playlist Search: You have the option to search the playlist. The results will be displayed as you type the search term. Share: You can share your video player on Facebook and Twitter. Parameters to customize the share title and description. Download Option: Available button to download the current playing file (only for self-hosted videos). You have the option to hide the download button. Multiple Parameters: Autoplay, loop (entire playlist), colors, dimensions etc. Over 85 parameters from where you can customize the player. Logo/Watermark: You can define a logo in the top & left corner. Also, option to set the link and target_self or _blank. Shuffle: Option to shuffle the playlist. Show/Hide Playlist: Button to show or hide the playlist. Also option to load the player with the playlist hidden. Two Skins: You can choose from the 2 skins available: back & white. Also, from parameters you can create any color scheme, having the possibility to integrate it in any design. 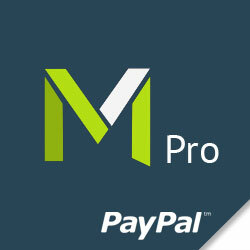 Free Updates: Once you’ve bought the product, you can download for free, from your account, all the updated versions. 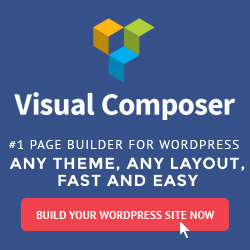 WordPress CountDown – With Image or Video Background can be used for: websites under construction, last minute offers, coming events, launching a new product, discounts interval… and much more. Over 100 js options from where you can customize the plugin. 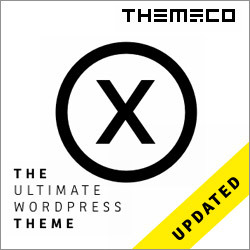 WordPress CountDown – With Image or Video Background is fully responsive and will adapt the browser/device resolution. Parameter to enable or disable responsive behavior. The ‘Digital/Electronic’ version can be obtained by modifying the plugin parameters. Parameter to enable touch screen navigation feature. You have the possibility to integrate this audio player in any design. You have a button which will open the player in a popup window. This feature is also a way to listen to the music, without interruptions, while navigating the website menu. You can choose from the 2 skins available: black & white. Also, from parameters you can create any color scheme. You can choose from the 2 skins available: back & white. Also, from parameters you can create any color scheme for your HTML5 Radio Player With Ads WordPress Plugin. If needed, you have the option to manually set the radio name and categories name. Over 70 parameters from where you can customize your player, including: width, autoplay, initial volume, playlist, categories & color parameters. 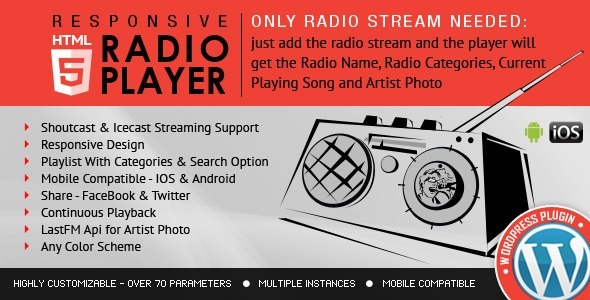 Just add the radio stream and the player will get the current playing song and artist photo..
Over 50 options from where you can customize your player, including: width, autoplay, colors and other parameters. It will display the current playing artist bio, if available. You can share the radio player on Facebook and Twitter. Button to show or hide the history. Enjoy the already famous multimedia grid gallery wordpress plugin with support for images, YouYube & Vimeo videos in a lightbox window. With a cool zoom effect on mouse over (or touch on mobile devices) it will make your website look awesome and memorable. Option to automatically generate the gallery playlist from a folder which contains the images. 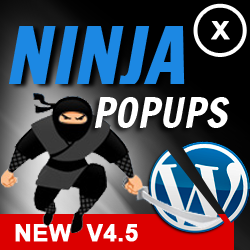 Get the MOST WANTED WORDPRESS PLUGINS PACK from here! Thanks for reading Are You An WordPress Bounty Hunter?. 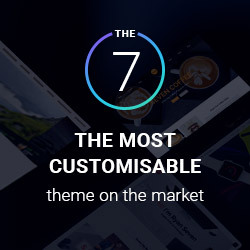 With Premium Sliders, Video Players, Logos Showcase, Full Screen Image Or Video Backgrounds, Audio Players, Radio Players, Image Video Galleries, Carousels, Countdowns you will impress any of your website visitors.